The other day I was at the grocery store and I noticed a woman scanning items with her smartphone. As a user of moneymaking smartphone apps, I decided to ask her which one she was using. She told me that she was shopping for Shipt which is a smartphone app/platform that lets users make money by grocery shopping and delivering food to customers. She said that it was the perfect side gig for her, as it allowed her to work while her kids were at school and that it was 100 percent flexible. If you have a reliable car, a smartphone, and a few extra hours you can make good money too. Here are some of the various platforms you can use to make money with your car. By now most people are familiar with Uber, but being an Uber driver offers more flexibility and options than you might realize. Hours are flexible, and drivers make more during peak times (think after hours, at bar close, etc.). 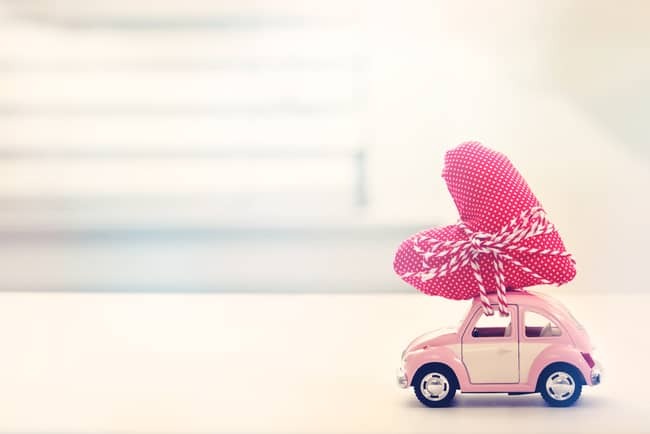 You can accept or deny rides based on information you receive about the passenger, which can also make this option appealing to female drivers. Licensed drivers must be 21 and over with at least one year of driving experience (three if you are under the age of 23). You must have your own 4-door vehicle with up-to-date insurance and registration, and drivers are screened before being accepted. Drivers get paid as they go and report an average of $22.54 per hour. They also receive discounts on car maintenance and phone plans. Similar to Uber, Lyft drivers must be 21+ with a valid license, registration, and insurance, and you have to own a smartphone. Lyft runs a DMV records check to make sure you have a clear record. Lyft rides start at a base fee, plus time, and distance. Drivers get to keep ALL tips and are able to get paid immediately by cashing out, or you can automatically get paid weekly. Lyft offers flexible hours, anytime during the day or night and working during peak hours or “hot spots” can result in more money. On average, Lyft drivers earn around $11.48 per ride and can average two riders per hour. HopSkipDrive is a driving service for transporting kids. Drivers must be over 23 and have five years or more of childcare experience. The car must be 2007 or newer with proof of insurance, valid paperwork, and a license. Drivers must pass an extensive background check as well and offer references. HopSkipDrive “Care Drivers” must pass a 15-point inspection and have an excellent driving record. Care Drivers can earn $30 per hour and have the ability to accept or decline rides. Care Drivers also receive insurance coverage during working hours. HopSkipDrive serves California. A higher-end driver service, Juno caters to professional people looking for luxury cars. Drivers must have a vehicle that is 2011 or newer, black, dark blue, silver, or white, and registered with the NYC Taxi & Limousine Commission. Drivers earn 100% of their tips and 90% of the total fare. (Gett keeps 10%.) Drivers must have registration and insurance and are required to have a TLC License as well as a DMV license. Drivers need a Diamond card, TLC inspection receipt or a diamond sticker. Juno drivers can earn sign-up bonuses and can also earn 1.2x more for working 50+ hours every week. Juno is only available in New York in the United States. They also service the UK, Russia, and Israel. Munchery is a meal delivery service built on fresh and healthy, delicious food, made to order. They offer day-of ordering or food can be ordered for delivery later in the week. Munchery is located in over ten different cities (mostly Northwestern and West Coast – plus DC and New York). Delivery drivers can make deliveries via their car or bike. They offer employee benefits such as discounts on food, healthcare for full-time workers, and an open vacation policy. Drivers make up to $20 per hour plus reimbursement for gas and mileage. Positions are open to drivers 21 and over with a valid license, a vehicle, a smartphone, and proof of insurance. Shifts are often open in the afternoons and evenings. This service is similar to driving Uber, but instead of passengers, drivers pick up and deliver food. UberEATS has the same requirements as an Uber driver—over 21 with a license, a registered vehicle, scooter or bike, and up-to-date insurance. Drivers must also pass a driving test and initial screening before being accepted into the program. UberEATS drivers make $10-20/hour on average, depending on the city and the time of day they work. As with Uber, UberEATS offers flexible scheduling options. Favor Delivery is a personal concierge-type service that employs “personal assistants” who pick up anything a customer needs. This could range from tacos to groceries to dry cleaning. Personal assistants receive 100% of their tips and an average guaranteed minimum wage of $10-18 per hour, depending on hours worked and location. Drivers must have a smartphone, reliable transportation, license, and registration, and must pass a background check. Drivers must be at least 18+, and although this service is currently available only in Texas, it’s very popular. DoorDash offers pickup and delivery services for food delivery, but only catering to businesses (so often larger orders) that don’t have time to run out and get food orders for the company. Drivers must be 18 years old or older and can use any car for delivery. They must have a valid license, insurance, and a clean driving record. Drivers may also use bikes or scooters but must have reliable transportation and be able to carry large orders. The flat rate per delivery is $5, and the payments can vary by market for drivers. Drivers keep 100% of tips earned. Postmates is a food delivery service. Delivery drivers set their schedule and work only when they want by signing into an app. Drivers must be 18 or older and have transportation (bike, scooter, car) or be willing to walk and carry items to be delivered. Earnings are based on the following criteria: a base rate per order + per minute wait rate at pickup location + per mile rate for the distance between pickup and drop-off location. Delivery drivers also keep 100% of tips. Another popular food delivery and pickup service, Grubhub offers drivers a flexible schedule and pays on average $13/hour. Drivers must be at least 19 years old in most areas (21 in Chicago) and have two years of driving experience, as well as a valid license, registration, and insurance. Drivers must pass a background check and have a checking account for direct deposit of their paycheck. As a driver, you keep 100% of the tips and set your hours. Another food delivery option, EatStreet pays drivers $12/hour guaranteed, and drivers are employees, not contractors. Employees must have a reliable vehicle, license, and registration, along with a clean driving record. They must also have availability to work nights and weekends. Delivery drivers can earn up to $20/hour based on deliveries. The work is reliable, depending on your city’s market. Shipt is an on-demand grocery delivery service. Drivers must be 18 years old with a reliable vehicle (15 years old or newer). As with the other positions, drivers must have a license, insurance, and registration on their car. Drivers must have a smartphone and are asked to provide a cooler or insulated bag for cold grocery deliveries. Drivers must also pass a general background test on their knowledge of brands and groceries, such as produce. Delivery drivers make up to $25 per hour plus a free Shipt membership. Shipt is currently available in 13 states including Arizona, Texas, Florida, Wisconsin, and Ohio. 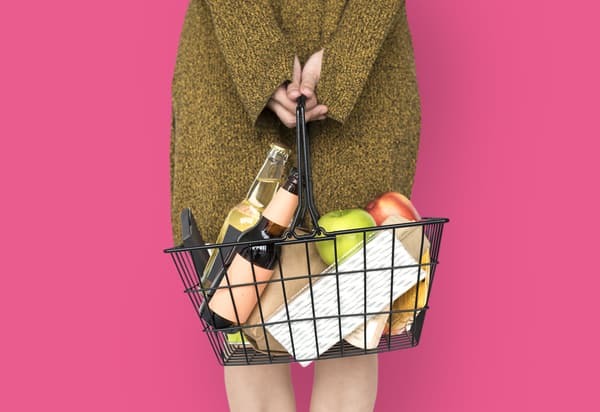 Another grocery delivery service, Instacart also offers workers a chance to do shopping for customers who pick up (so no car required). Delivery drivers work as independent contractors and must have their own vehicle. They can work unlimited hours on a flexible schedule. Drivers do both the shopping and delivery and also must have their own car. Instacart doesn’t reimburse for gas, but they offer $9-$20/hour depending on scheduling and demand. Drivers also keep 100% of their tips. Amazon Flex is a great opportunity to deliver Amazon packages for customers. Flex drivers make $18-$25 per hour and get set their availability and blocks of time to pick up packages and make deliveries. There is no set amount of hours and drivers can change their availability as needed. Delivery drivers need a smartphone and a vehicle that passes screening criteria for Amazon Prime Now orders. For regular Amazon orders, drivers must have a 4-door car or sedan. Turo is a great service where you can list your car as a rental car. This is a wonderful opportunity for people who have a second vehicle or one they don’t use so often. It’s also a great option for vacationers. Earnings are based on the market value of the car and how long it’s being rented. You can earn 65-85 percent of the trip/rental price depending on your vehicle and availability. Similar to a rental service, you choose the mileage limit, and the car is returned fully fueled. Getaround is a service that allows car owners to rent cars out to people in their vicinity. Car owners get paid monthly with the average owner making about $10,000 per year. Owners set the hours the car is available (so if you work 9-5, you can set your car availability while you’re at the office or once you get home from work). Users download the Getaround app, which gives them a code to unlock the door and pick up the car. Drivers are fully covered by insurance during rental periods. To initially set up with Getaround, owners pay a $99 installation fee for “Connect” and $20 a month to list the car. Renters must be verified and set up a profile (including proof of license and driving record to rent). HyreCar gives car owners a chance to rent out their car, but unlike other services, there are no specific requirements. They recommend cars are in great condition that are clean with low mileage and newer. HyreCar takes 15 percent commission on all rentals listed through them but you set the weekly/daily rental price, and you can accept or decline rental offers. They don’t cover maintenance or upkeep on the car, as most transactions are handled primarily between the renter and owner. Renters are responsible for refilling gas, providing insurance, and anything else as required by the car owner. Complaints result in an administrative fee charged to the renter. Are you ready to sell your old car? Then download the Blinker smartphone app to cash in! Blinker not only makes the process of selling your car a snap, but they'll also reward you with an extra $200 when you use the referral code HOLLYHANNA (when your car sells). It's as simple as downloading the app, taking a photo of your car, listing it, and reviewing the offers that come in. Currently, Blinker is available in Colorado, Texas, and Florida. Plus, when you sell your car outright versus trading it into a dealership you tend to receive a higher resale value — which means more money in your pocket. 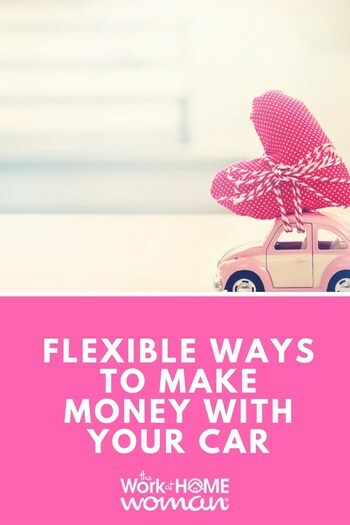 If you’re ready to make so money during your free time, there are plenty of opportunities to make money with your car. Whether you’d like to drive people around or you’d like to make your car available to others, why not earn some money putting your car to work? Originally published June 6, 2017. Content updated January 4, 2018. Hi Holly, I’m new to this world of work from home jobs. I have been doing intense research on link posting? I have not found a reputable honest company yet that you can call and actually talk with someone about the position….Do you have any ideas on where or who to call by chance?? I would greatly appreciate your help if you might have any kind of lead. I’m getting ready to go into 2 knee replacements and a surgery on my nerve running through the hip to the toe?? I am going to be out and busy with rehabilitation and need something that i can work on for a couple of hours throughout the day that actually brings money to the home. You have a wonderful website and it seems like you spend anormous amount of time on your website just helping people all day answering questions or commenting on their conversations too. Great Job and I know I appreciate all your time you spend on people you have never met or seen before. Thank you very much for caring about so many people out here, in these days especially. Good luck with your job hunt and surgery! Thanks for this list, I will be looking into several options you have listed although most of these companies do not offer availabilities in southeastern MA. Good luck, Judy! Keep us posted! You know I’m passing this along. I hate driving too! But I could probably shop for a couple of customers a day and drop off their groceries, that wouldn’t be too bad. I definitely couldn’t drive people around all day. Thanks for stopping by!